The playground for the rich and famous and… day trippers like us. It has been quite some years ago since we visited Saint-Barthélemy or St Barths and I hope to get back very soon. 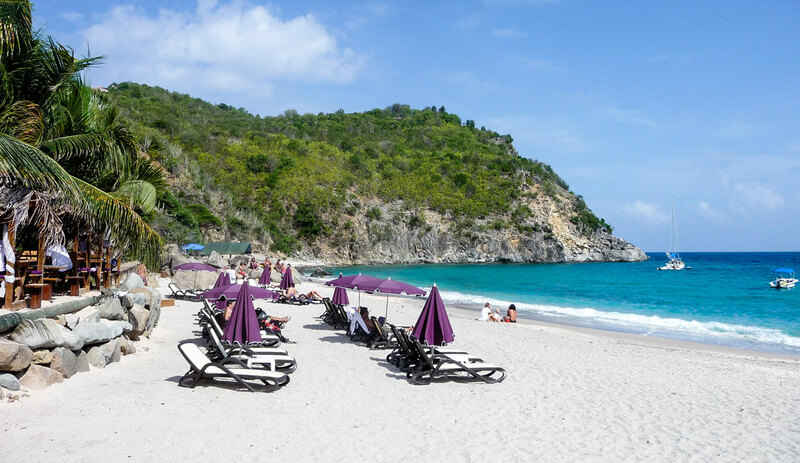 I often had to travel to St Maarten because of my job and decided to stay for a long weekend. 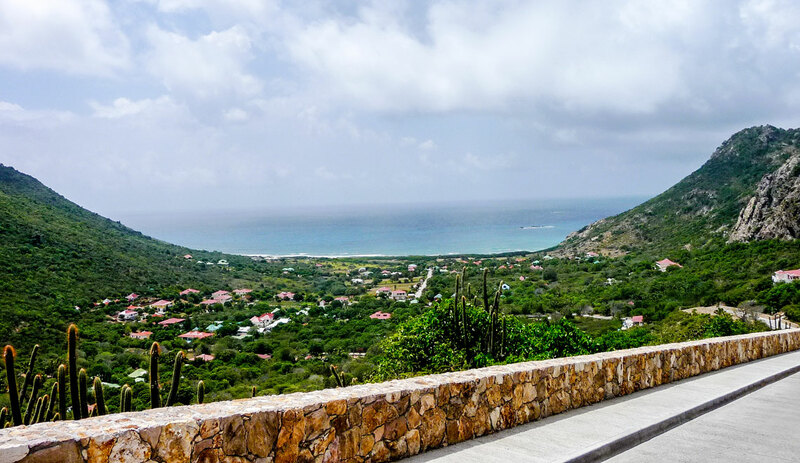 St. Maarten is a great hub if you like to see more of the surrounding islands. You can easily book a trip a day in advance. 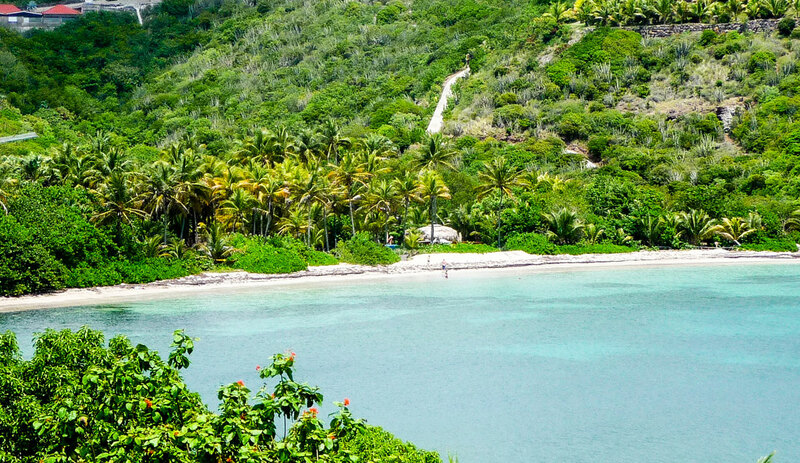 We decided to visit the Saint Tropez of the Caribbean, just because we could. A powerboat trip will take you there in 45 minutes and the price is fair. You do not have to be rich to get there. Paying for drinks and food, that’s a whole other story. The boat ride getting there is pretty amazing. Our boat leaves from downtown Philipsburg. The color of the water in the bay is just the prettiest blue you can imagine. The boat then starts going full speed and my hair is just getting out of control. Why didn’t I tie it up? After a short very fast ride I see the green hills of St Barth rise and rise from the ocean. This is heaven on earth. I am in love. But I think I didn’t make the best first impression with my messy hair..
We didn’t plan ahead too much. We wanted to tour the island and see as much as we could. We didn’t see any taxi drivers around. And all the stores in the harbor were closed… this was our first introduction to St Barth’s. Little did we know it was a formal holiday. Whit Sunday is for the French, and the island of St Barths, a reason to close everything. After a while, we found someone willing to tour us around. He had a tour bus and it eventually turned out pretty well for us. He told us a lot about the island and drove us around pretty much the whole island. He took us to breathtaking viewpoints and stopped to show us the houses of the celebrities. It was so much fun! And it felt like we were the only tourists around for the day. Because St Barths is so mountainous and the road is very windy, your jaw drops pretty much after every turn. I know I am in the Caribbean but this island has a European feeling to it. When driving around it feels like I am on the countryside in France. After every corner, you’ll see the indigenous brownish piled stone fences. Some cattle behind it or in my opinion just a pretty way to mark your ground. Even though I am long gone from Europe but it feels like my old vacations. Compared to other Caribbean islands it is more civilized and very clean, good roads and all is taken care of. It’s not cheap to live here so I understand why there is a difference. It makes every Caribbean island unique and worth seeing and exploring. Our first stop was at Plage de Saint Jean. It’s just a short drive from the Gustavia harbor. It is easy to see why it’s so popular. There are many restaurants and shops, including Nikki Beach and Eden Rock. And you can see the small airplanes taking off which is pretty exciting to watch. We made use of the public restroom here, back then there was exciting and beautiful art displayed on the loo. Incredible for a public bathroom. Our last stop for the day was a recommendation of our driver. Shell Beach is a lovely secluded little gem. Yes, there are shells everywhere, not actual sand. But luckily shells are less likely to blow into your champagne! We wanted to spoil ourselves and be part of the rich lifestyle for just a bit. The champagne tasted amazing and maybe that’s part of the reason I loved this beach so much. What’s not to love about St. Barths? I couldn’t think of a single thing I did not enjoy when I was there. Ok, it is hellish expensive but it will keep mass tourism down, which I like. The French are a bit stubborn if you can’t speak their language, but it adds to the experience of being abroad. So yes, I certainly want to go back to spend some more days here and explore the island a lot deeper. And there was some great surf at the reef, so Sebastiaan would have loved to paddle out! The St Barths day trip was a great way to get a taste of the incredible island and the wealth that is present. The ferry ride is affordable, as is a taxi tour. I can definitely recommend the day tour form St Maarten. Just a few things you can do on a day: work on your tan on one of the pristine beaches, surf the reef, go shopping amongst the rich, eat ‘tres-bien’ French Cuisine where you like, try to crash some celebrity party, go sailing or go boating or go and do an island tour. Yes, I understand it’s a bit much for just one day, but still, I ticked most of the boxes, just need to do the celebrity party crashing and surfing! Hope we’ll be able to do that soon!